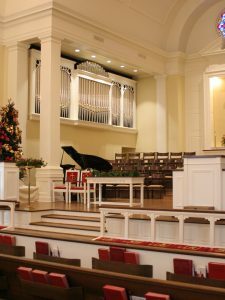 John-Paul Buzard Pipe Organ Builders announces the design and building of its Opus 46 new organ for Central United Methodist Church in Fayetteville, Arkansas. 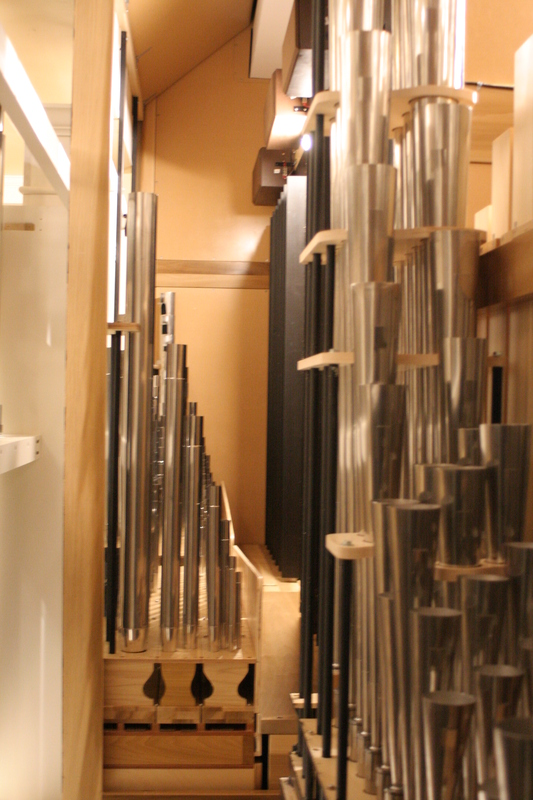 The new instrument has 44 independent speaking stops and 54 ranks of pipes distributed across three manual and pedal divisions: Great, Swell, Solo and Pedal. 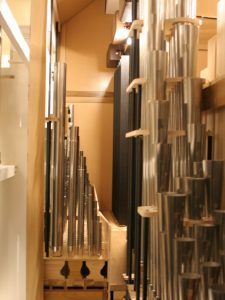 A substantial portion of the Great Division (flutes, strings and reeds) is housed in its own expression box, which may be independently coupled to any other division to increase registrational flexibility. 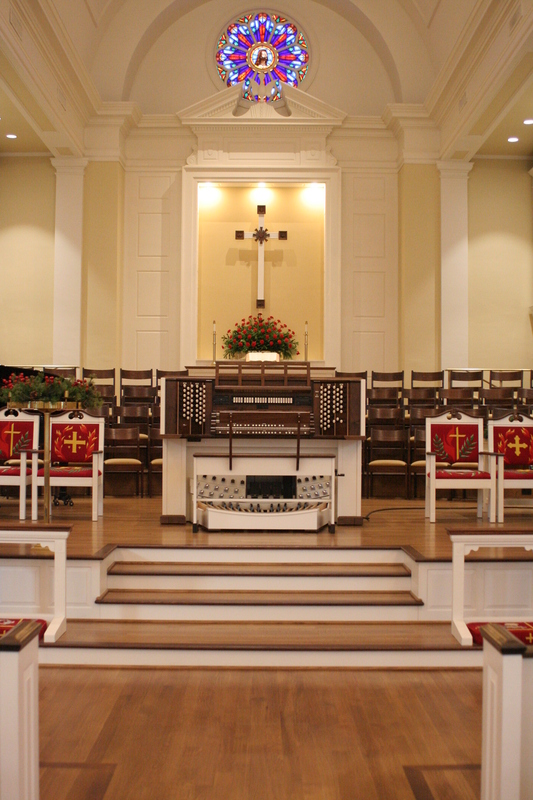 The action utilizes electrically operated Slider & Pallet windchests. 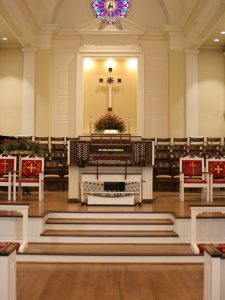 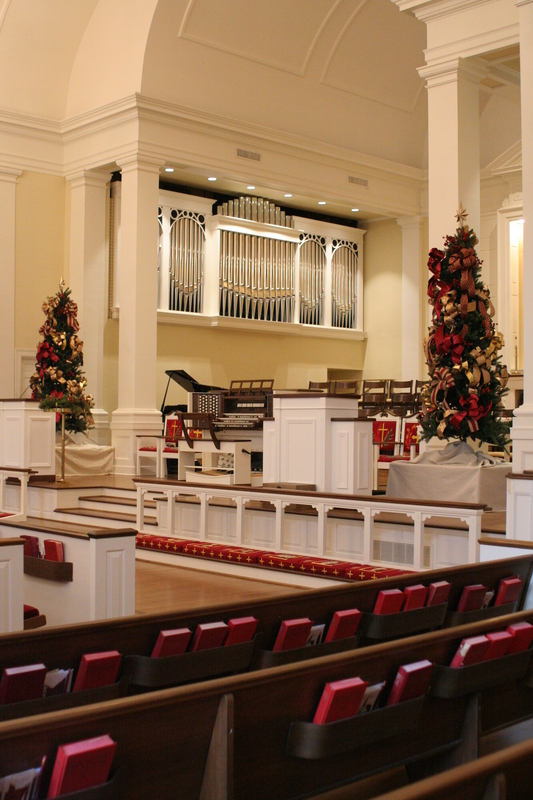 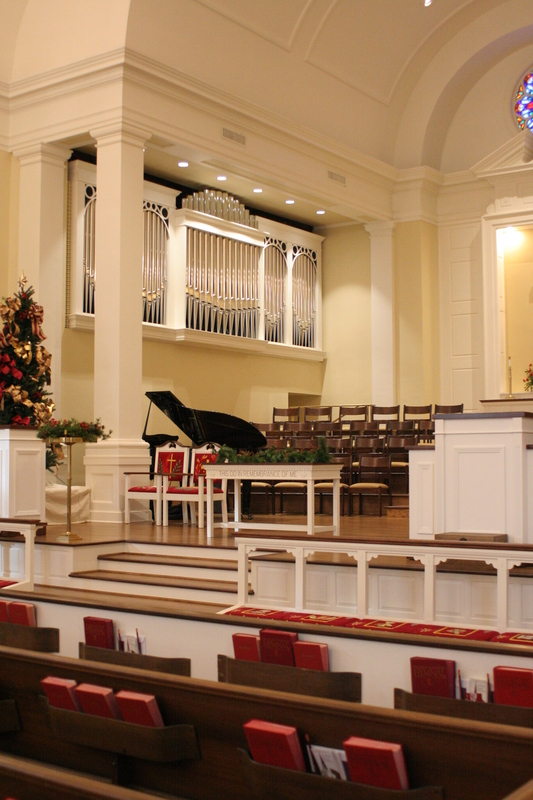 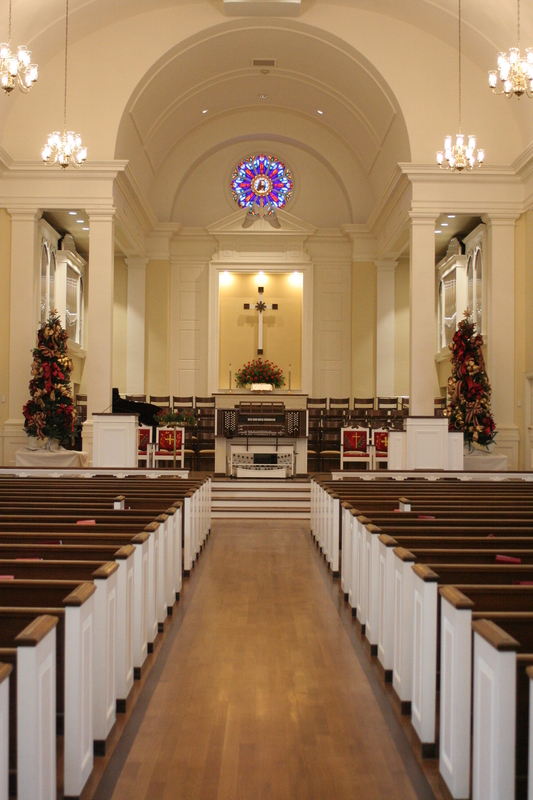 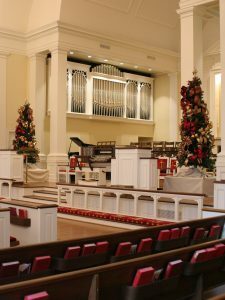 The new pipe organ is a part of Central United Methodist Church’s impressive growth. 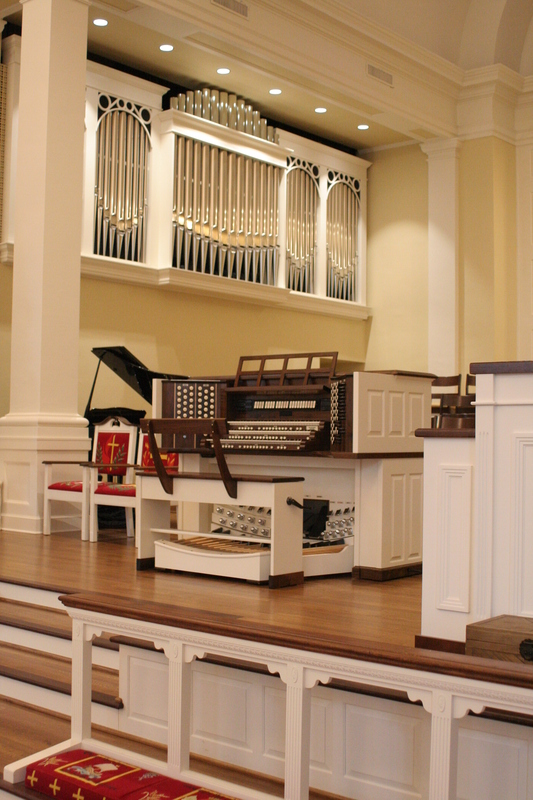 A Music Suite was constructed in a new building surrounding the exterior of the Church’s liturgical east end featuring rehearsal space, practice rooms, the music library and offices. 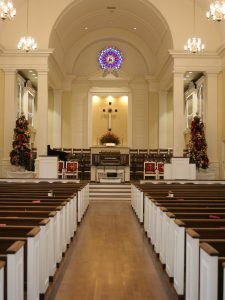 The Sanctuary was renovated to improve the acoustical environment and the Chancel was re-configured and expanded into the Nave. 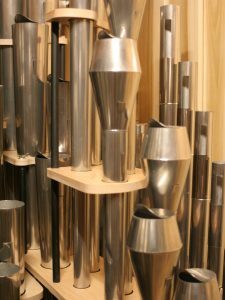 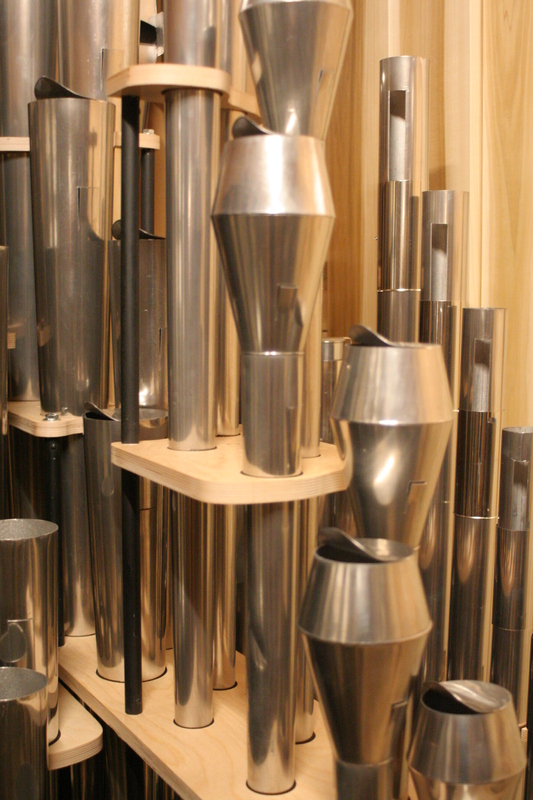 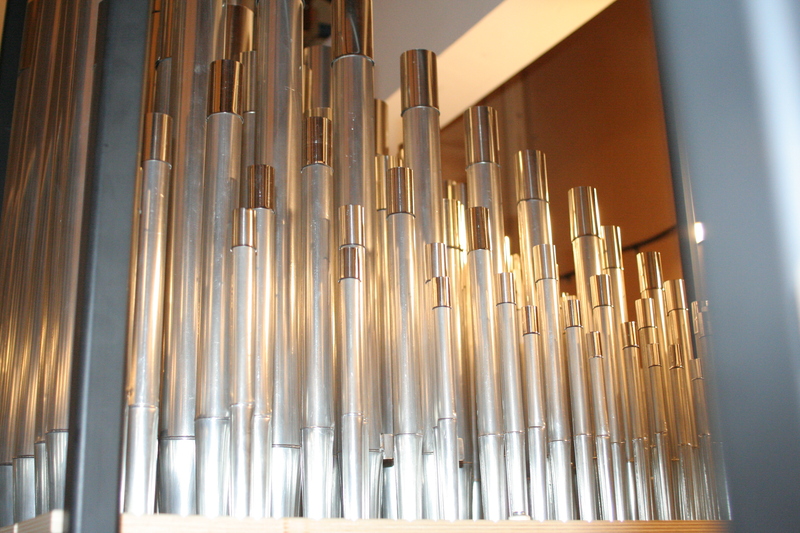 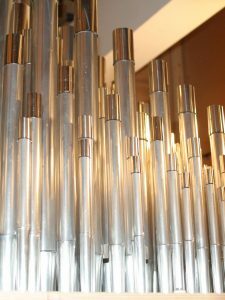 The new organ’s visual component has been designed to honor the classical nature of the building’s architecture and features the large pipes of the 8-foot stops and a portion of the 16-foot Pedal Diapason. 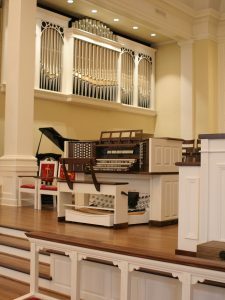 We are privileged to have the opportunity to work with Music Director Frode Gundersen, Associate Director and Organist Scott Montgomery, Business manager Brian Swain and Senior Pastor Jan Davis on this exciting new instrument.